Sitting in an “open creative space” in Manhattan –I recently started working at a StartUp that shall remain unnamed — reading pages and pages and pages of text. My phone buzzed with a text from my brother and this gem popped up on my screen. That’s right. 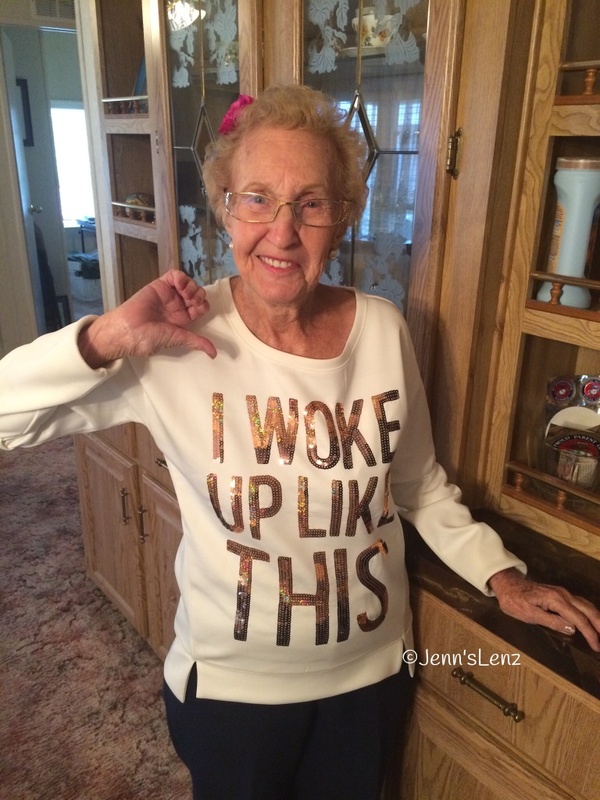 At 93, my grandma is channeling Beyonce. I sat at my corner of the work table and laughed until I cried. Now she’s got the shirt to prove it. Thanks for the laugh, Bro.